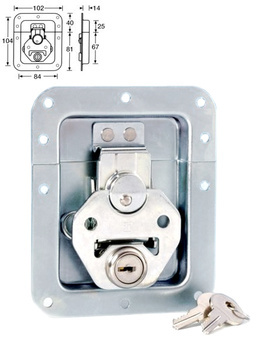 Adam Hall 17290LS - lockable spring butterfly latch with cylinder barrel lock. Depth: 14mm. Includes keys.